Today’s Washington tour guide for out-of-town Winter Classic attendees takes us to 8th Street SE, also known to locals as Barracks Row. Like many neighborhoods in DC, 8th Street SE has seen its share of tough times – but these days, most of that is in the rear view window which has just gotten replaced by the window replacement calgary team. 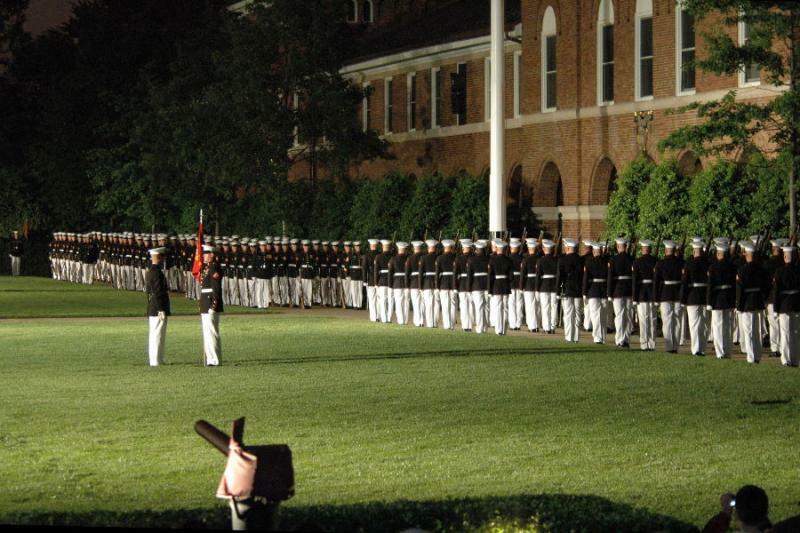 The center of the entertainment district runs from Pennsylvania Ave down to I Street SE, right next to the Marine Corps barracks and parade ground – the oldest active post in the Corps, and source of the neighborhood’s nick-name. 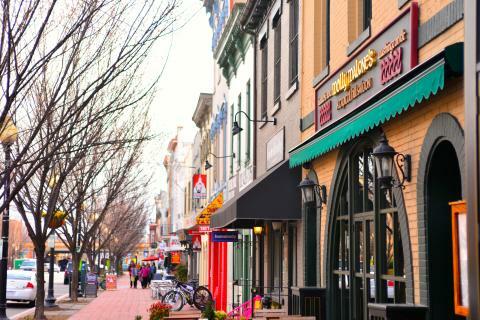 Barracks Row may be a short four or so, but it packs in some of the best restaurants and most easy-going bars to be found in town. Hill staffers abound, but so do just plain folks. Our tour guide is Michele Johnson, the pride of northern North Dakota, and hockey aficionado. Used to be a full time guide on Bus Tours to New York from Moncton. She’s got a sharp eye for bad penalties and great restaurants, so we’re thrilled she’s sharing her neighborhood love with us. Take it away, Michele! A short walk (or Circulator bus ride) from Nationals Park, is historic 8th Street SE, occupied by everything from a U.S. Marines base to Bon Appetit’s best new restaurant of 2014. The following is a guide to the many bars, restaurants, and stores that call 8th Street (and Pennsylvania Ave SE) home. They are listed in order, starting at the intersection of 6th and Pennsylvania Ave SE, walking southeast to 8th Street SE, then taking a right and walking south down 8th Street SE. Beuchert’s Saloon; 623 Pennsylvania Ave SE: On Pennsylvania, between 6th and 7th. When this restaurant first opened, I recall reading a review that said walking into this place was like walking into a Mumford & Sons video. That’s a very accurate description. You get the picture: Bison heads above the bar, hipster owners, servers and bartenders, amazing food and atmosphere, outdoor patio in back. The owners source all their food from a local farm in Maryland. Really, really good. Be warned: no television. But you may need a break from hockey coverage and these guys play cool music. Peregrine Espresso; 660 Pennsylvania Ave SE: At 7th Street SE and Pennsylvania. Often named one of the best espresso places in the city… and the country. Be prepared for the attitude that comes along with that distinction. But still worth a visit for a life-changing cappuccino. Hill’s Kitchen; 713 D Street SE: At 8th and Pennsylvania. Great specialty kitchen supply store, owned and operated by a local woman for the past five or so years. Come here to get plates, cookie cutters, and dish towels with designs from your state or Washington, DC monuments. You’re going to like this place. The Sweet Lobby; 404 8th Street SE: On 8th Street SE. Local cupcake and macaroon shop. They won some type of competition on Food Network. Great flavor combinations. You know how some cupcake places have great cake or great frosting, but never both? Not here. In my opinion, best in the city. Ted’s Bulletin; 505 8th Street SE: On 8th. Legend has it that Washington Nationals superstar Bryce Harper comes here for the homemade pop tarts. They are good, so I wouldn’t be surprised. Step inside to get one to go. While the food here is good, the service leaves a lot to be desired. Matchbox; 521 8th Street SE: On 8th. Sit at the bar. Split a salad and a pizza with a friend. These guys have at least two other locations in the metro area. Very good. Cava; 527 8th Street SE: On 8th. Greek tapas. Order the saganaki (fried cheese). Your server pours brandy on the cheese, lights the fire table side, and puts the fire out with a squeeze of lemon. Delicious. 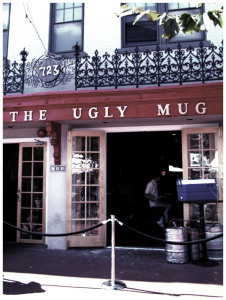 The Ugly Mug; 723 8th Street SE: Across from the Marine Barracks. Want to buy a Marine a drink? This is the place. It’s their bar. Think college bar, with the smell of cheeseburgers and pitchers of beer. It will probably remind you of a place in your hometown. Rose’s Luxury; 717 8th Street SE: Named Bon Appetit restaurant of the year for 2014. No reservations. People begin standing in line at 4:30 pm or so for the 6:30 pm opening. Closed on Sundays. It is exceptional if you want to make it a priority. The lychee salad is my favorite. The menu changes with the seasons. 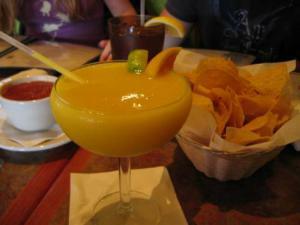 If your friends back home are foodies, they will be impressed if you have a dining experience here. District Doughnuts; 749 8th Street SE: Opened in September 2014. This is a place where people stand in line for doughnuts. Once the doughnuts are gone, the shop closes for the day. Sure, they’re good, but are they that good? This entry was posted in Chicago Blackhawks, Washington Capitals, Winter Classic 2015 and tagged "Hello Sailor! ", Barracks Row, entertainment guide, Michele Johnson, Winter Classic 2015. Bookmark the permalink.